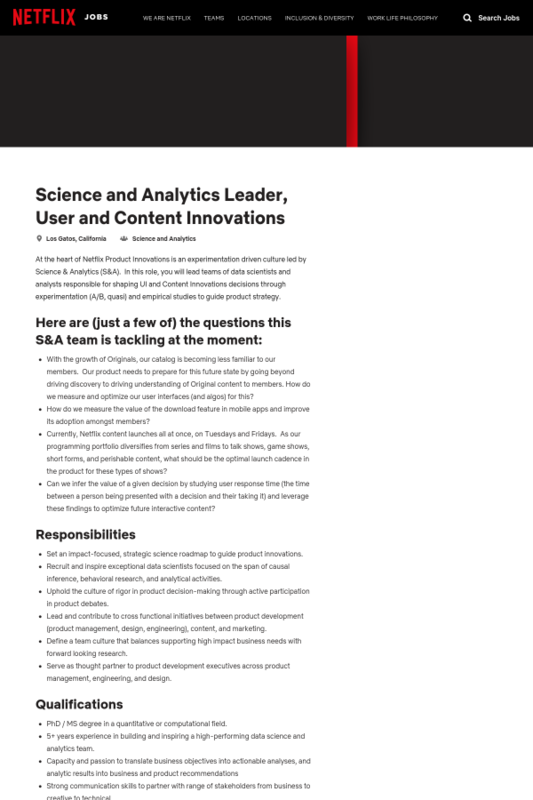 At the heart of Netflix Product Innovations is an experimentation driven culture led by Science &amp; Analytics (S&amp;A). In this role, you will lead teams of data scientists and analysts responsible for shaping UI and Content Innovations decisions through experimentation (A/B, quasi) and empirical studies to guide product strategy. Confirmed 15 hours ago. Posted 30+ days ago.